The clean lines of this white melamine vanity cabinet and sink are a beautiful addition to your bathroom. Behind two doors is ample storage in a small space. 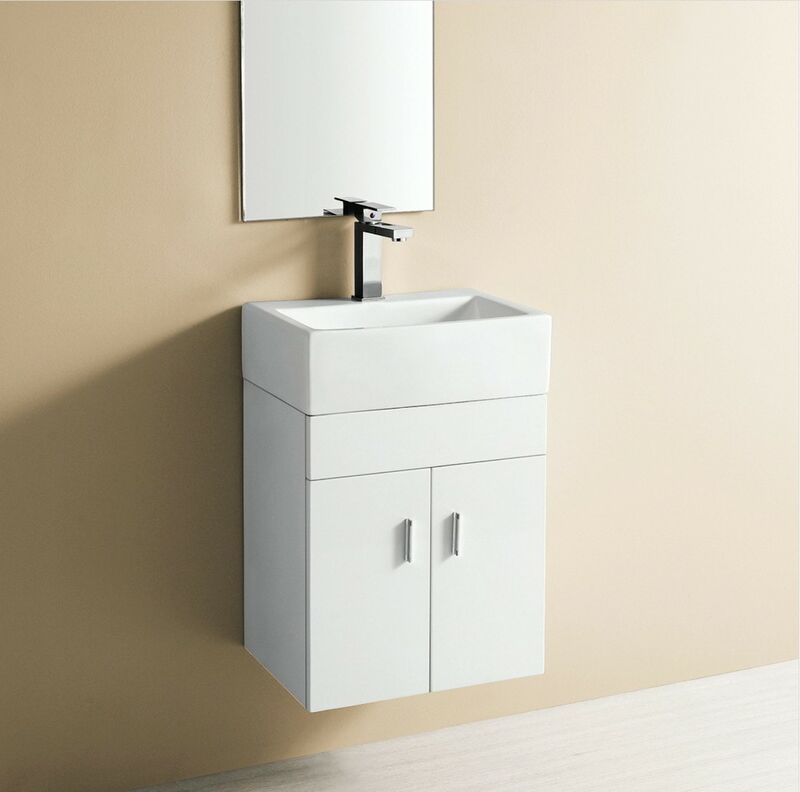 This vanity only fits with sink EC9859 and is sold as a set. Elite Sinks manufactures our own classic high-quality vanities and sells them directly to you! *Attention Contractors & Retailers! Please e-mail us for wholesale bulk pricing.